From a retro-look to a knight’s castle theme, bowling centers nationwide rely on a wide variety of design and theming strategies to keep balls rolling down the lanes. Regardless of the decor choices made, the best bowling center designs appeal to customer demographics or offer unique attributes that make a center stand out in its location. 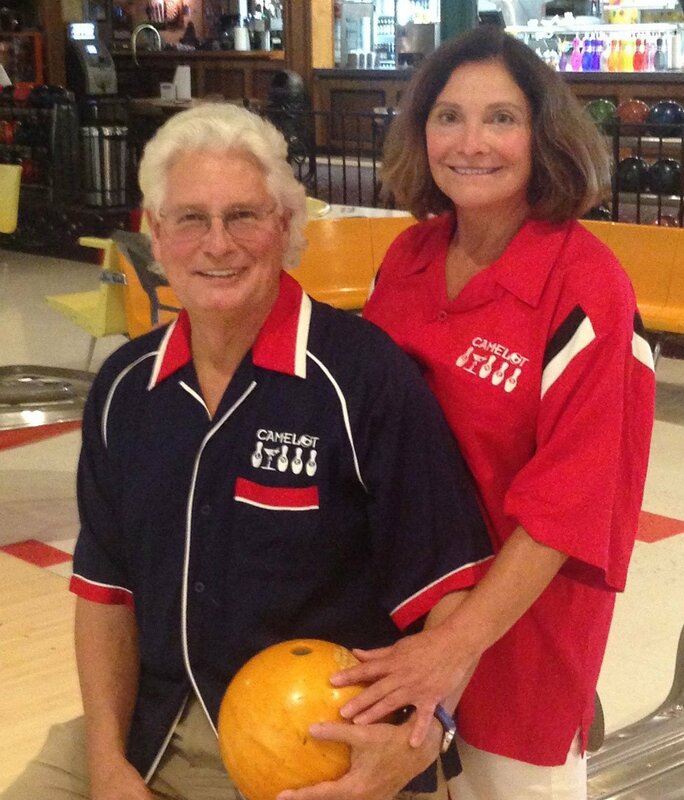 Peppe and Bob Smith of Camelot Lanes. The castle theme has endured at the center with the Smiths always improving the concept. At Mark Lanes in Browning, Mont., Leo Pollack, the center’s manager, calls his theme “a traditional family-values-retro look. It’s a carryover from when it was originally established in the 1960s, and we’ve kept the feel essentially the same. Pool, pizza, bowling, and a warm, inviting environment.” Mark Lanes is a small center with just six lanes. “We have a compact, comfortable look that isn’t going to change. We are a great draw for the community, and a good hangout for area kids. The only updates we are looking at involves tables and chairs in our seating area. We are planning to add cushioned swivel chairs and still keep that family comfortable retro look while we are updating.” This small but friendly bowling center draws several thousand guests annually. For Pollack, the center’s best design feature is its cozy and efficient size. In Phoenix, Ariz., at Let It Roll Bowl & Entertainment, League Director and Lane Staff Member Amber Hersch spoke for Manager Melanie Thurman about her center’s retro theme. “The artwork on the wall stands out as appealing retro decor,” she said. “The center has been here since the 1960s and we have bright vibrantly colored murals of bowlers, stylized shapes, and artwork of bowling pins.” Hersch said the center and its upgrades are all consistent with the original era. “Our updated lighting fixtures and booth seating all fit with the retro theme. The artwork is original. There are no plans to change it.” Hersch said that stellar artwork and the comfortable, dark maroon booths and seats are the prime design features of her center. 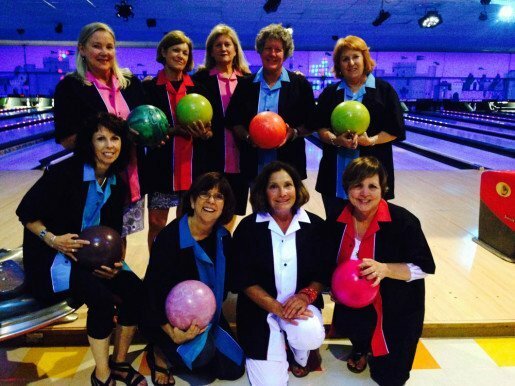 Members of the Delta Gamma Sorority in bowling shirts at a reunion at Camelot Lanes in Youngstown, Ohio. The center was built over 50 years ago by the parents of one of the current owners. Colors are coordinated at the Bowlero Mar Vista location, including the lighting hues over the concourse, lane seating areas and the bar. Camelot Lanes is a large center with 40 lanes. Although Smith noted that a trend for the industry is to isolate six to 10 lanes into a boutique environment for private rentals, she has no plans to do so. 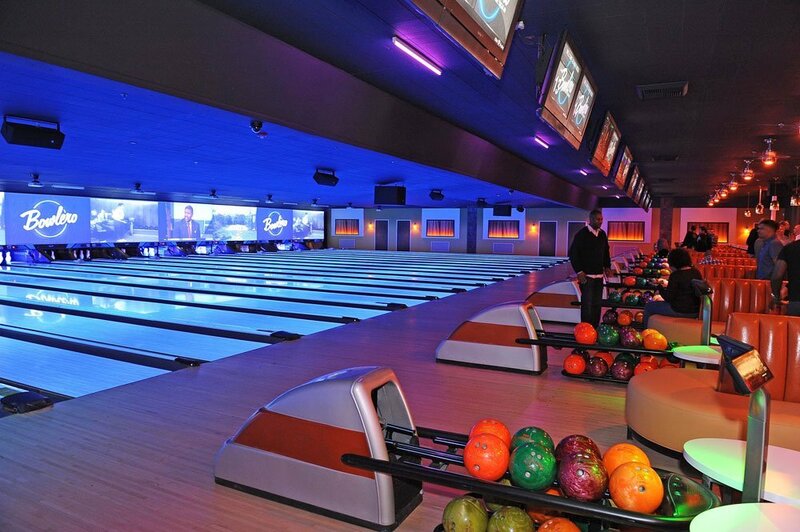 A view of the lanes at the Bowlero Mar Vista location in Los Angeles. The location has a theme of a road trip from Baja California through Los Angeles. It’s a different story entirely in regard to changing the overall look of a bowling center at Bowlero Mar Vista and Bowlero Woodland Hills in Los Angeles, Calif. Nick Scaccio, district manager for both facilities, explained that these facilities were formerly plain, non-themed, aging AMF bowling centers when his company, Bowlero, took over. Bowlero has several other venues outside California, and plans to add more within the region as well. “Our Mar Vista location has a theme of a road trip from Baja California through Los Angeles. 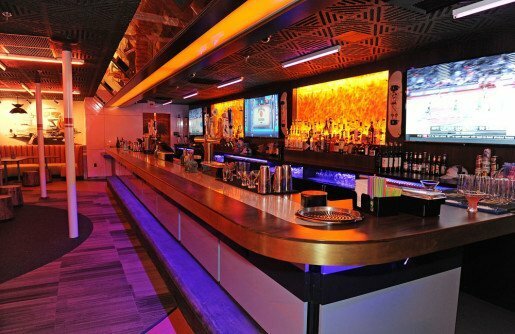 So we have included elements such as a pink neon vintage Santa Monica hotel sign, deep orange fluorescent lighting over the concourse, and similarly colored banquettes in the seating areas both for the lanes and the bar,” he said. “Everything is specifically selected from our concept development team, and we have an architectural firm who helps us develop the centers as well.” Along with a state-of-the-art audio-visual system that includes floor-to-ceiling projection screens, the ambiance is a central part of Bowlero Mar Vista’s appeal. “We actually conducted photo shoots for the graphics on all the walls, including the restrooms. The restrooms themselves are designed to remind you of a swimming pool, with blue lights and paintings within each restroom that are symbolic of what you would see in a swimming pool. We even have cool details of life guards on each of the restroom doors.” He said the graphics on the walls and the lighting are the best features of the center. With Mar Vista Bowlero just a year old, there are no plans to alter the decor at this time, and the original alteration was carefully thought out. “We look at each individual property as it exists, and we look at the neighborhood that it is in, and then make very specific choices in terms of the demographics in each market. The Mar Vista property had not been touched in forty years, but the volume of business was substantial.” Bowlero picked a theme that the company felt would fit the location, which isn’t far from Santa Monica and the beach, and close to Interstate 10 which criss-crosses the country. The center is 25,000-square-feet and has a projected annual attendance of 300,000. 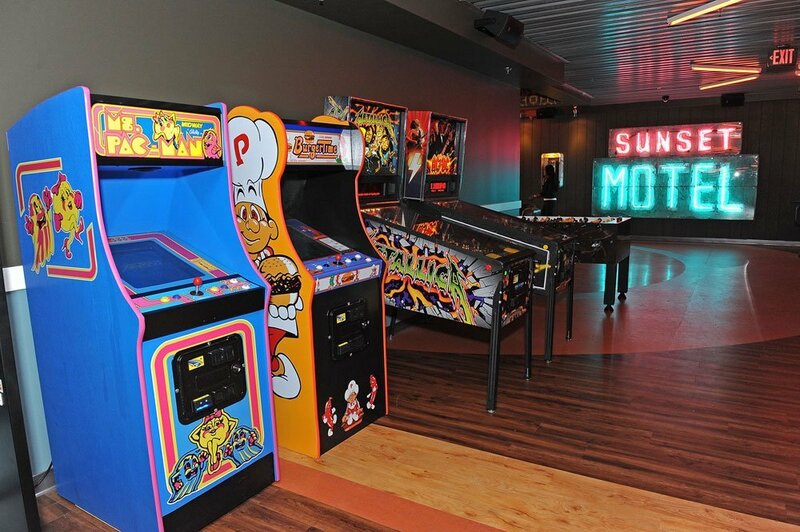 Arcade games at Bowlero Mar Vista, with a vintage neon hotel sign that enhances the center’s road trip theme. Scaccio’s Woodland Hills location opened in early March, and the design there incorporates some of the Mar Vista location’s road trip theme along with a Texas-style theme. The graphics on the walls reflect this more Western look, and features such as a giant elk holding a bowling ball and illuminated graphics that say “Yes” and “Wow” are consistent with this decor. The Woodland Hills venue also features 40 arcades game, a billiard table, and glow in the dark ping pong. At Olathe Lanes East in Olathe, Kan., Owner Betty Henley is always updating. Her exterior features a mural that makes the building resemble a railroad box car. On the inside, it’s a 1960s-era look that she described as “homey.” She noted, “I call this my home away from home, and I want it to feel like that to our guests. We cater very much to league bowling and serve as a family fun center. We’re putting in all new synthetic lanes and masking units which will update our look, but we’ll still keep the 1960s style theme. Our diner definitely caters to the look and style of that era.” Henley’s 32,000-square-foot center has 32 lanes. She offers a Rock n’ Bowl Cosmic Bowling period which continues the 1960s ambiance with black lights, strobe lights, and rope lights that run down the capping of the lanes. “Our best feature is our overall homey style,” she said. It’s clear: with decor a central feature of many bowling centers, there’s plenty of room to “spare” for continued success. 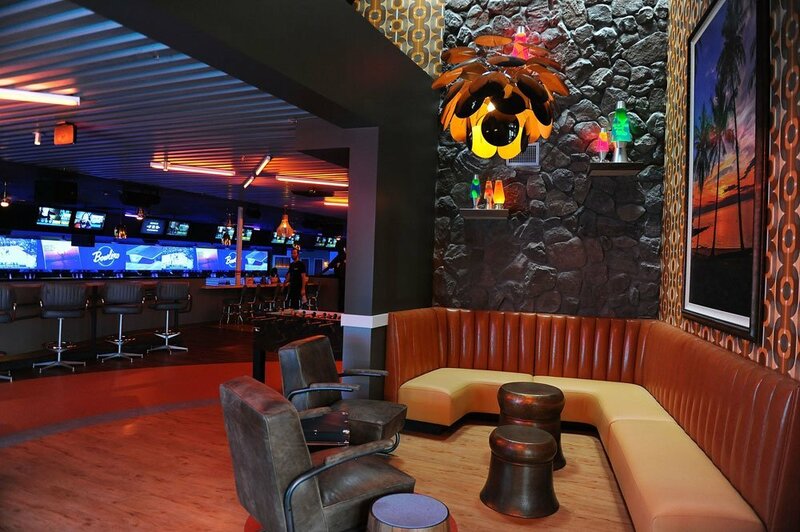 The graphics on the walls and the lighting are the best features of Bowlero Mar Vista, according to the district manager for both that location and Bowlero Woodland Hills.